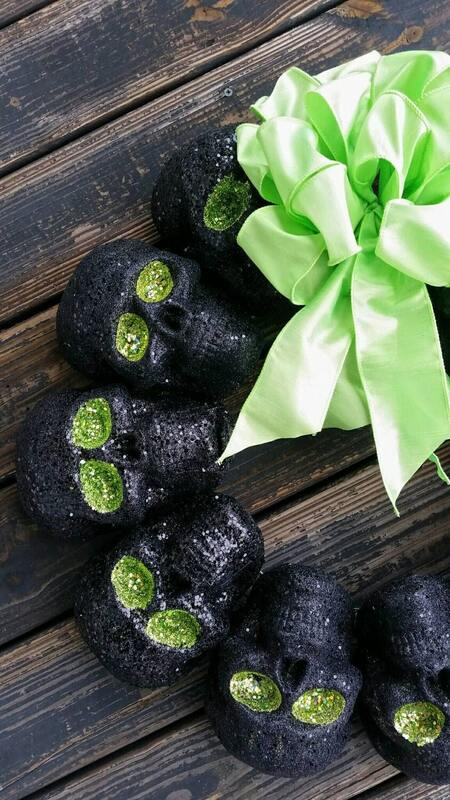 If you are a fellow Halloween lover this wreath is for you! 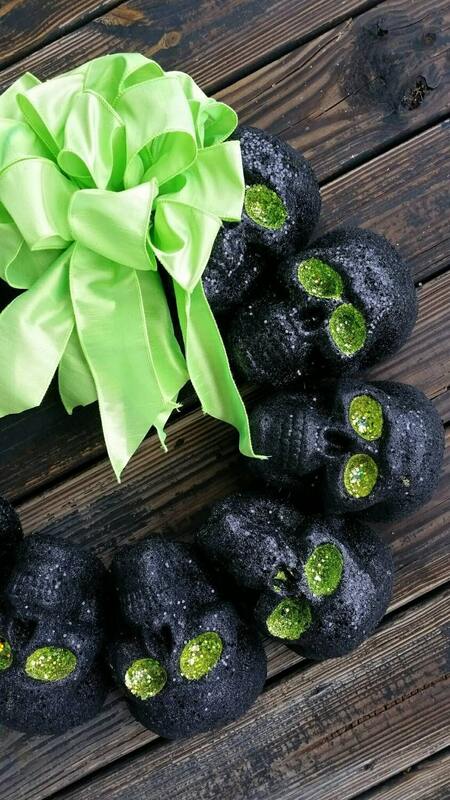 Ten black glittered skulls with green glittered eye sockets were used to make this wreath. 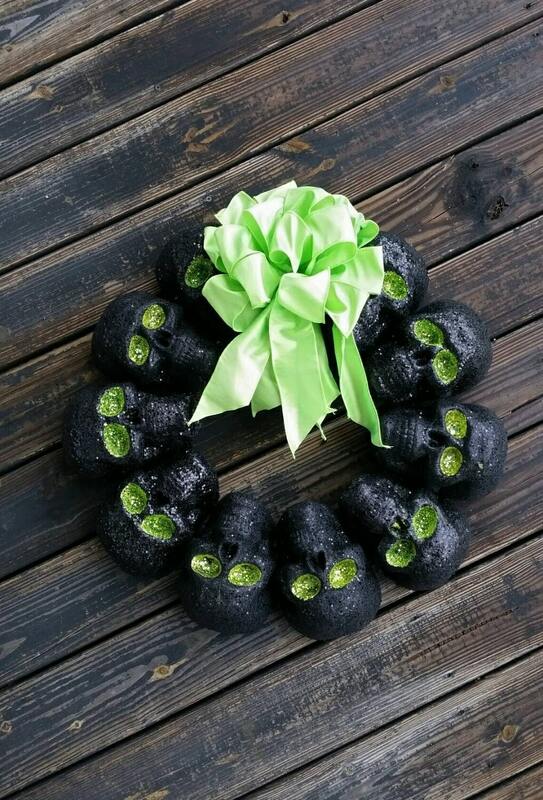 Each skull is approximately 5 inches wide by 7 inches long making this a large wreath with a large visual punch. 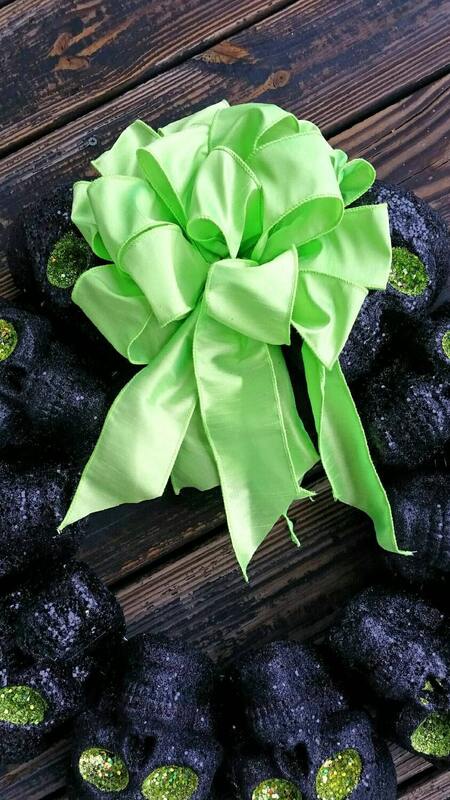 A beautiful green bow which matches the eye sockets tops this bony wonder. 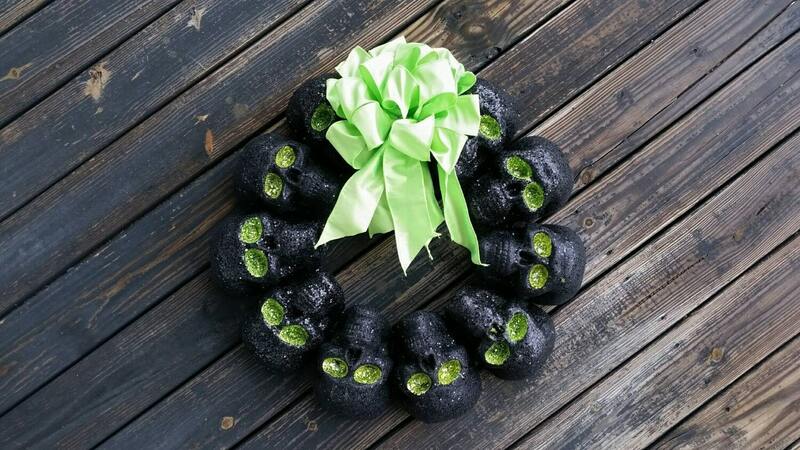 Measuring 25 to 26 inches in diameter (tip to tip) this wreath was created on a wire wreath form.